They call 2019 "the runway to 2020," referring to politics, as though nothing will get done in Washington. Could the same be said of technology? 5G is supposedly on its way providing superfast data connections for cell phones and tablets. You will be able to download a whole movie in a few seconds — instead of streaming it, presumably? Anyway, let's not nitpick: when is it coming? AT&T are offering 5G service in 19 cities this year. T-Mobile's nationwide network comes in 2020. You'll need a whole new phone to use mobile 5G, although they will be backwards compatible with 4G networks. Verizon, AT&T, Sprint say they will have 5G devices ready by the first half of this year. Apple's iPhone may not support it until 2020. XR is the new term for VR, AR and mixed reality. According to Wired magazine, a company called HumanEyes has a new camera called the Vuze, which "captures both 360-degree, flat video in 4K, and 180-degree, stereo or 3D video in 5.7K. The tech consortium Khronos Group has launched OpenXR to create a common programming interface. The goal is to settle on one type of video for one type of goggles/glasses. That could be a breakthrough, since we need a compelling reason to don a headset and risk tripping over our coffee tables. Artificial Intelligence has become a word to throw into every press release in the hope of a stock boost or to grab the attention of venture capitalists. Since everything we do now depends on the cloud, which is run by AI, it's not like there's anything new to expect from machine learning. Netflix and Amazon use it to predict your next purchase, but does anyone really trust it? Is it that accurate? Because I liked the Detectorists, a low-budget British comedy about rural saddoes who do metal detecting, I might like Cuckoo, a low budget British comedy about small town normies who have to cope with their daughter bringing home an American hippie (Andy Samberg)? My Alexa is garbage, wrong or deaf at least half of the time. These three things are all pie in the sky — too hard to wrap my arms around. I prefer concrete predictions with local implications. I feel like I spend a third of my non-work time in supermarkets, and a third of that in line to pay. I use the self-checkout but I have yet to get through it without assistance. That's right: between us we have 100 percent failure rate. That's why I was excited to talk to Tony Rodriguez, Chief Technology Officer of Digimarc Corporation. It's a local company that works on bar codes and other aspects of point of sale technology. Rodriguez said that mobile purchases is the explosive growth area. Not just sitting on your couch buying concert tickets and cat litter, but completely refitted stores like Amazon Go. "They leverage a lot of cameras and technology to see what people are picking up and predict what they are going to buy. 2018 saw the proliferation of new mobile checkout platforms." For example, Kroger offers Scan, Bag, Go at Fred Meyer. It is not just an app you use on your own smart phone. You can borrow a clunky scanner from a rack at the front of the store and return it at the checkout (Yes, you still have to weigh your bag to pay.) However, Walmart scrapped Scan & Go after just four months after expanding it to 100 stores, due to low participation. "Mobile shopping is cost effective for stores, it's cheaper than having tons of cameras. I toured retailers in Japan and where convenience store chains are pursuing it aggressively. It's nice to see the foundations laid and it now coming to fruition." He sees the arc of Artificial Intelligence as bending significantly over the last five years. 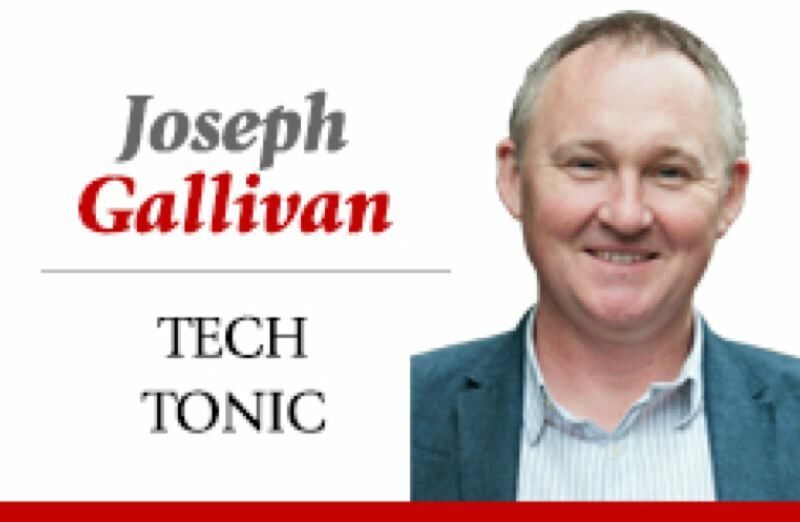 "Machine learning and AI platforms were relegated to the academic world five years ago, now they have been placed in Microsoft Azure and IBM, which allows developers to power their back ends and garner insight into shopping habits. They can learn people's interests, know where they are in the store and optimize the planogram or store layout." 2019 will also see the rise of conversational retail — that is, shopping with voice commands, through devices such as Amazon's Alexa. According to experts, voice shopping is expected to jump from $2 billion today to $40 billion by 2022. "Conversational commerce is already a part of our homes and is likely to soon infiltrate our commute." With Microsoft buying XOXCO which makes conversational AI and bots and Amazon's Echo Auto coming to cars soon so we can spontaneously shop with Alexa in traffic, the space is heating up. "Large retailers have to make the decision, to they want to partner with Amazon or not, which may be enabling a competitor, or go with a third party? 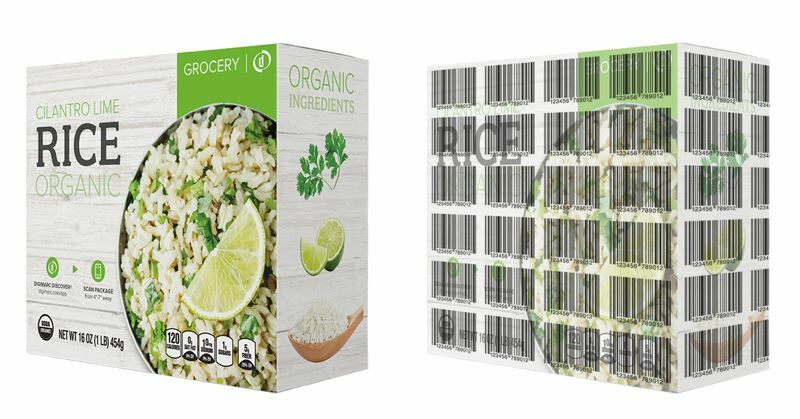 Digimarc designs bar codes that are invisible on the packaging, so that any side can be quickly scanned. It calls this "signal rich art." The firm is working with Wegmans, who will decide when and where to use it. Digimarc also managed to integrate its tools into Adobe Illustrator in 2018, and into Windows 10. This makes it far more likely that package designers will use the tools. Adobe is the standard software for the package design world, and Microsoft Windows powers the back end the server software, of a lot of retailers. He's seen the Microsoft Surface Go, the lower end Surface tablet, being used by a lot of clerks wandering the aisles. "Today the consumer may know more about the product than the sales associate, so stores counteract that by investing in tablets. This gives them access to same information plus the internal inventory information. They can check out in the aisle." This is what you see in Apple stores. Others are trying to catch up using Microsoft software. Rodriguez also says dynamic pricing is coming. "One of the benefits of AI is it provides tailored offering, based on your shopping history and interests, and helps retailers be more efficient about the supply chain." Digital shelf tags, which he has seen a lot in Asia, are coming to the US. This means prices can be updated wirelessly in real time. If inventory is slow moving it can be quickly thrown into sale mode. They use e-ink, the same technology as the grayscale Kindle, needing very little power. He also talked about "retail as entertainment." A couple of years ago my local Safeway nixed its sad café and replaced it with a sports bar. Now there are always a few drinkers at the bar watching the Blazers, Champions League soccer or sumo wrestling. Expected to see in a co-leased space, a grocery store attached to a bowling alley/movie theater/craft cocktail bar. They would share a prep kitchen. The deli provides upscale meals for bowlers etc., and the supermarket gets people who are out looking for entertainment. We're used to a Starbucks or Peets in a supermarket already. Let the good times roll. If all this means I spend less time checking out at Safeway and more slumped in front of my screens…sorry, attending to my family, that's good with me. 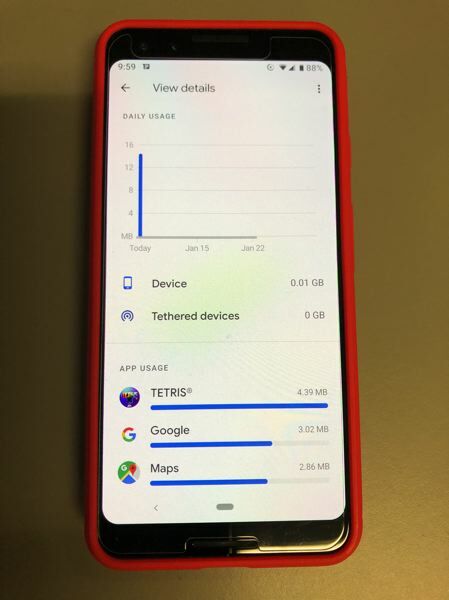 Since I wrote about my full immersion in Google products (Google Fi cell service on a Pixel 3, to go along with Gmail, Gdocs etcetera) people have been asking in solicitous tones, how am I doing? How's it going, submitting to a higher power? My conversion to Gislam is fine, so far. time. This means no texting photos until I get to Wi-Fi, or using data-slurping apps like ESPNFC and Instagram. One reader wrote to me and after a discussion, he and his wife, who share a flip phone, looked into Consumer Cellular of Tigard. They ended up getting the AARP member rate of $19 a month. them into a best-selling novella or hit Broadway play. That would be A-1 AI.